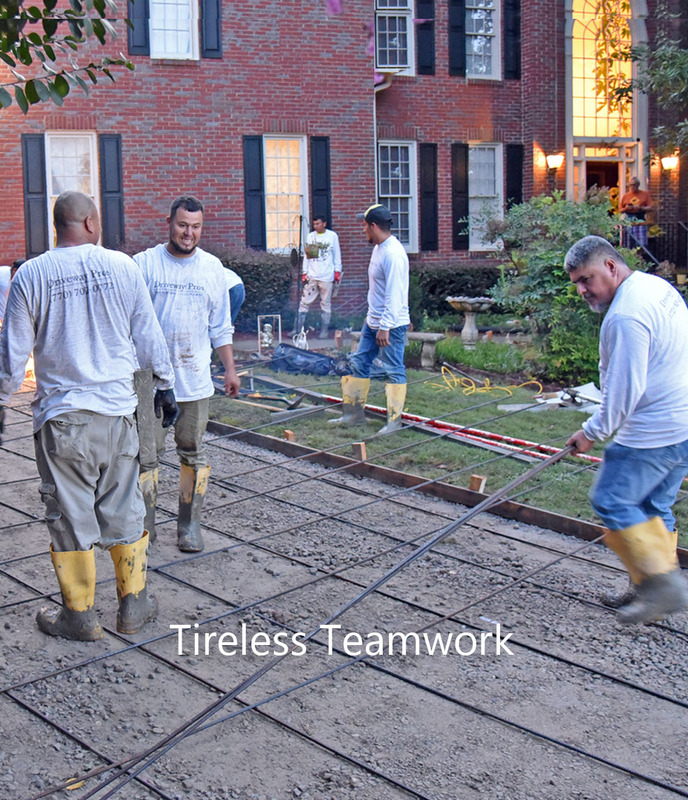 We are a professional concrete driveway contractor serving Roswell, Georgia. 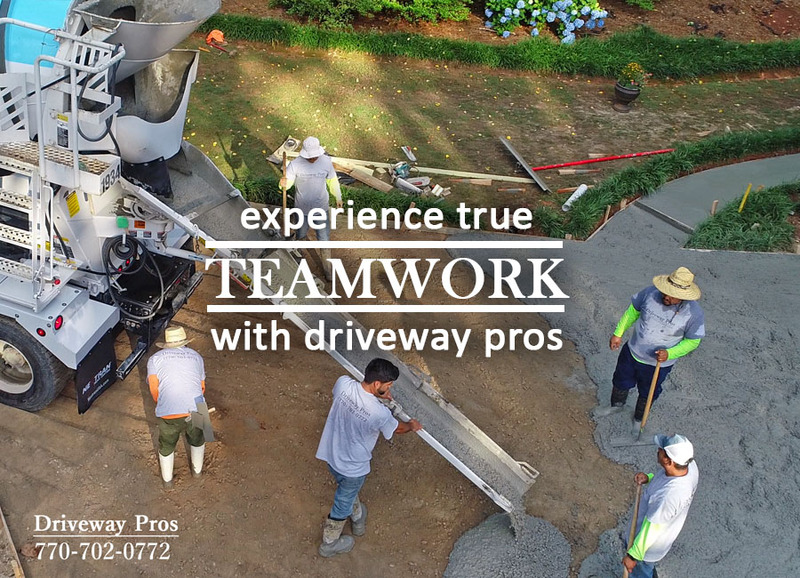 Well-known for our high quality custom driveways; we also pour concrete foundations, cement floors, sidewalks and patios. 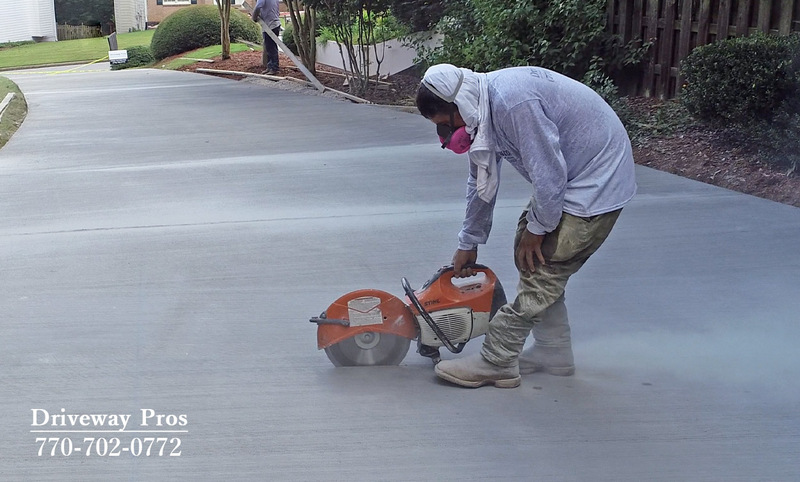 Concrete is the most popular material for residential driveways in Georgia; concrete can be formed to achieve a variety of color shades and styles to compliment any property. 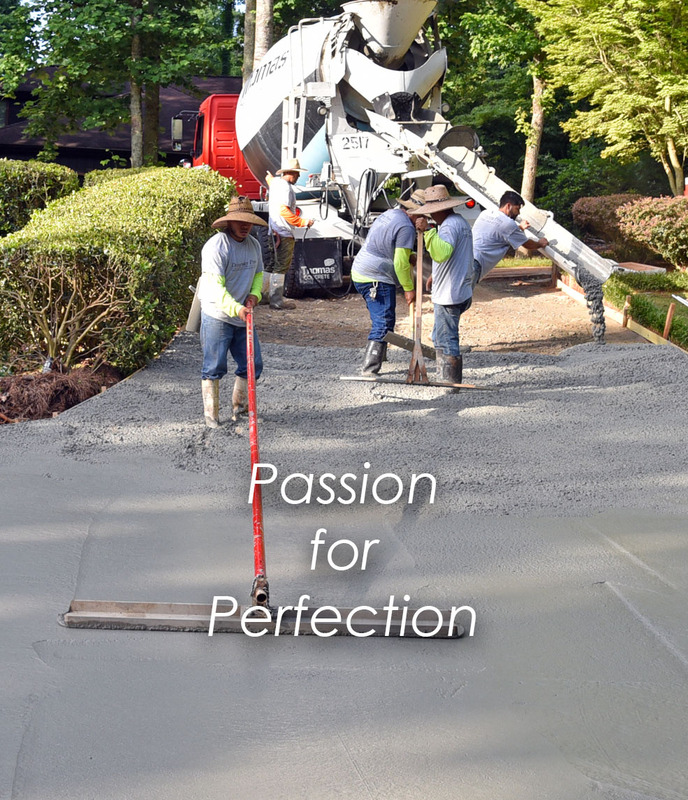 When you get a free estimate for your new or replacement driveway, we will guide you through the process of selecting the best concrete provider and finishing style to achieve the strength and look at the lowest price. Concrete expands and contracts with changes in temperature and during this process cracks tend to occur. To mitigate this, we create control joints in all driveways we build. Control joints are strategically placed lines in the concrete that separate it into sections and limit cracking to within the joints. In addition, by breaking up the driveway into sections, should there ever be a need to repair a section of concrete, the remaining sections will not be damaged. Stamped concrete and driveways with borders present a cost-effective solution for many homeowners seeking a driveway with flair. We also build customized driveways with aprons made from pavers, landscaping tiles or cobble stone. Paver driveways add a level of sophistication to any style of home. 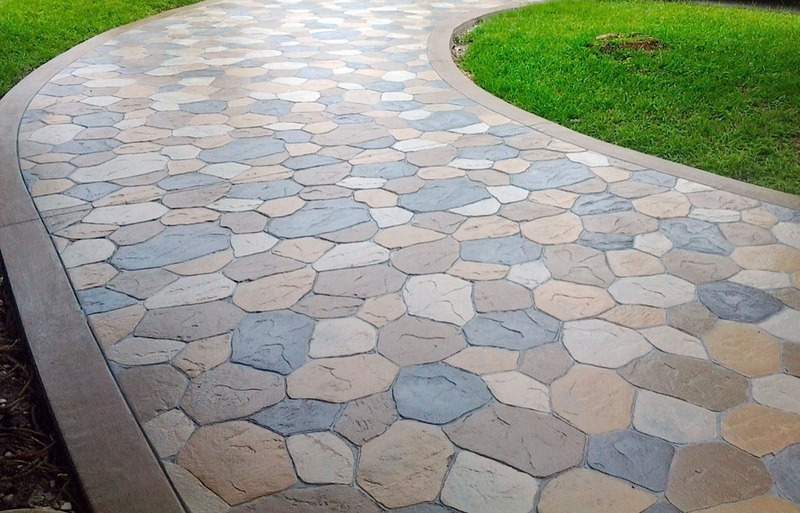 Pavers come in a wide array of colors and shapes and can be configured in many different patterns. With material selections from concrete to clay, precast pavers are very durable and long lasting. 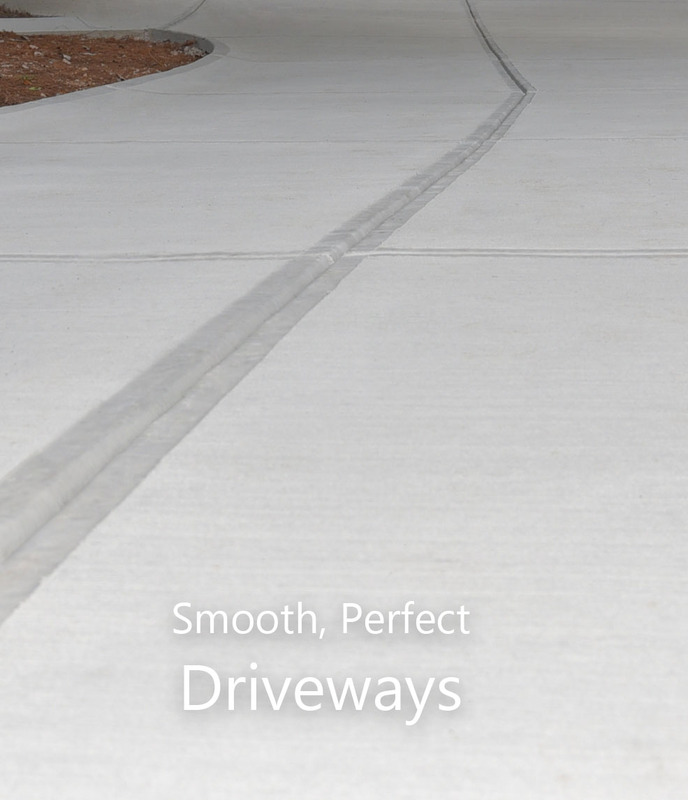 And thanks to the flexible joints between each paver your driveway will not crack. 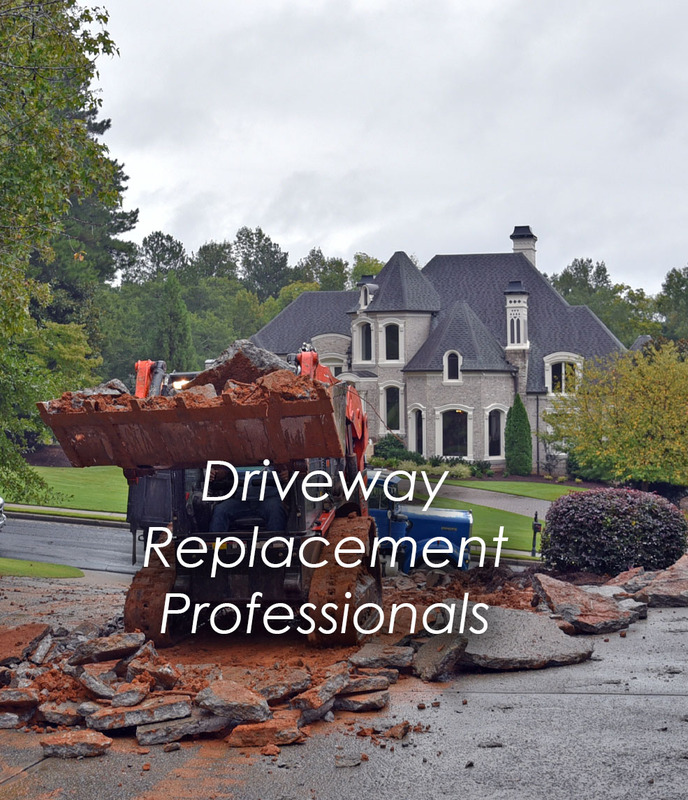 Furthermore, should driveway repair ever become necessary, it will be less expensive because specific areas can be targeted without having to redo the entire driveway.